Such fancy dress socks are actually only in our costume and there they belong. 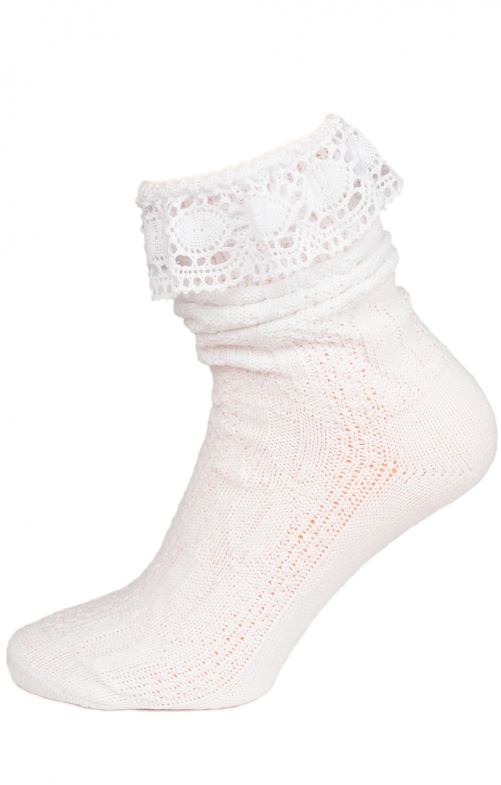 Especially for funny leisure outfits in jeans or smart leather trousers, the costume sock in white with lace trim gives a very special kick. The length is perfectly adapted to traditional Bavarian Haferlschuh shoes and ankle boots. Carried out a little dressed up, you complete a traditional outfit very individually. Manufacturer: Schuhmacher accessories. Wunderbare Trachtenstrümpfe,die nach dem Waschen ihre Form bewahrt haben.